Kingston University is backing Universities UK’s campaign to ensure studying abroad opportunities in case of a no-deal Brexit. 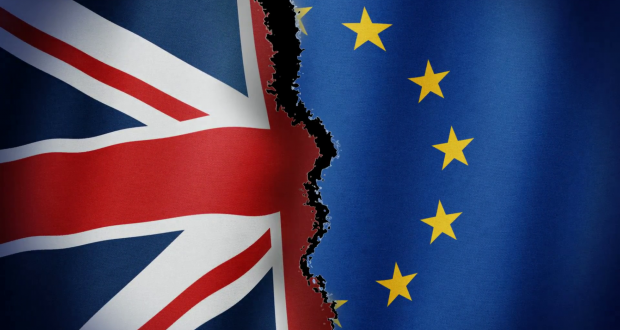 Universities UK, the voice of 136 universities in Great Britain and Northern Ireland, started a campaign for the government to continue funding studying abroad projects if the UK cannot negotiate its participation in the student exchange programme Erasmus+ after Brexit. The UK is set to leave the European Union on March 29 2019 and figures from Universities UK show that without funding, 17,000 UK students will miss out on studying abroad. A Kingston University spokesperson said: “The Erasmus+ exchange programme provides an invaluable opportunity for Kingston University students to enhance their learning in another country, where they can explore a different way of life, find out more about other cultures, develop language skills and enhance their future employability by developing a broader global outlook. The European Union student exchange programme runs for seven years, from 2014 to 2020, and is managed by the UK National Agency. Since the 2014-15 academic year, 589 students from Kingston University have studied abroad in the Erasmus+ programme, with an estimated 250 more students participating in the current academic year. Marcello Hardman, a third-year global politics and international relations student, 21, was interested in applying for the Erasmus+ programme since his first year at KU and chose to study in Bordeaux, France, because of the host university’s good reputation. Hardman said: “I have had a lot of fun visiting all the chateaus in the south of France and drinking a lot of wine on the Cité du Vin, not to mention the amazing friends I have made for life. “The benefits on studying abroad are immense and I am only one of the students that had this amazing opportunity, which without this programme I would have not been able to finance a fee as an international, nor to pay for other expenses. Kingston University welcomed 743 Erasmus exchange students from across Europe in the past five years and 185 are expected to take part during the 2018-19 academic year. Shanice Lewis-Spencer, a fourth-year applied economics and politics student, 24, studied a year abroad through the Erasmus+ scheme and the International Studies Abroad programme. She spent her first term in Madrid, Spain and her second term in Seoul, South Korea. “My study abroad year gave me a lot of ‘firsts’ and allowed me to be more aware of myself and what I wanted to do. The discontinuation of the Erasmus+ scheme would truly be a shame and a loss of a valuable experience,” said Lewis-Spencer. The Government is working for both a deal and no-deal scenarios to guarantee studies abroad and student exchange projects. The United Kingdom will continue to be involved in the Erasmus+ programme until the end of the current cycle in 2020 if the UK leaves the EU with a withdrawal agreement in place, and the funding for UK students whose projects extend beyond 2020 will not be affected by Brexit. The Government is also planning for a no-deal Brexit to ensure the UK’s full participation in the study abroad scheme until 2020.